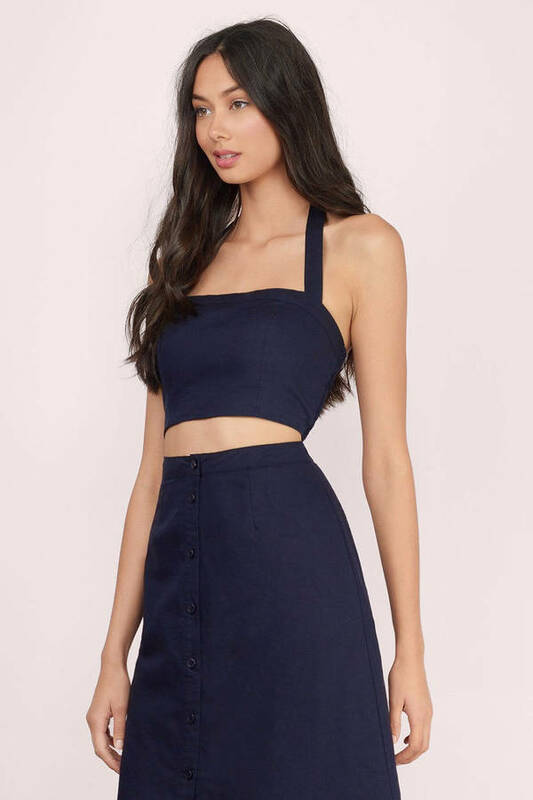 Check out Tobi's Lydia Linen Crop Halter Top Designed by Tobi. 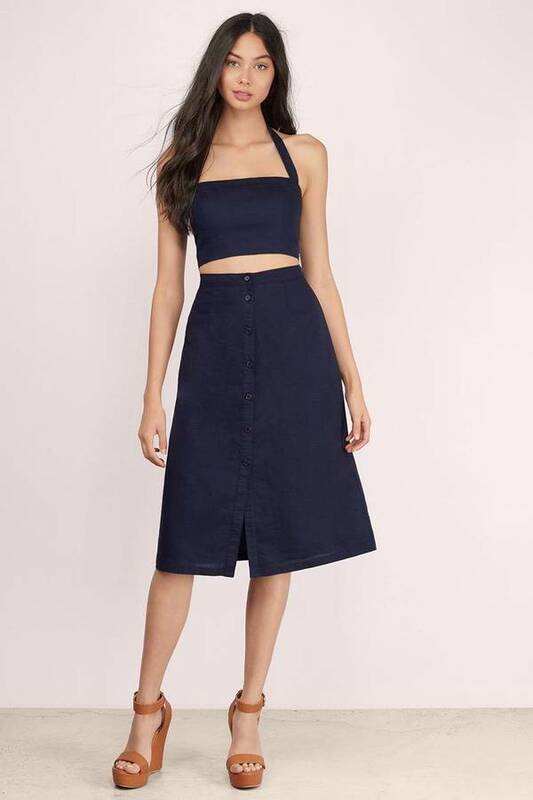 The Lydia Linen Crop Halter Top features a smocked back and waist length fitted body. Perfect to wear with any high waist bottoms. Designed by Tobi. The Lydia Linen Crop Halter Top features a smocked back and waist length fitted body. Perfect to wear with any high waist bottoms. Ivory & Rust modeled on a size Small.